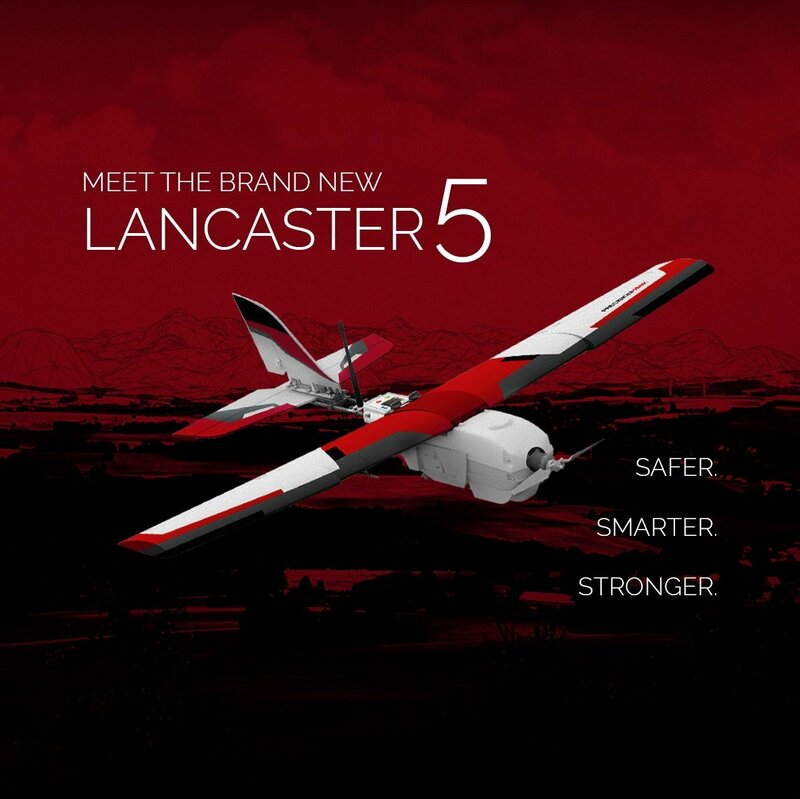 PrecisionHawk, a leading maker of unmanned aerial information tools for the enterprise, today announced the Lancaster 5, the company’s fifth generation UAV platform with highly advanced data collection and flight safety capabilities. The Lancaster 5 is the culmination of years of research and thousands of flight hours. “Being in the business of decision-support, we set out to build the premiere data collection tool that addresses the needs of customers. And with the Lancaster 5’s focus on data collection and operational efficiency, we believe we have achieved just that,” said PrecisionHawk CTO Dr. Ernest Earon. Cutting-edge data collection. Equipped with two embedded Linux processors, the Lancaster 5 houses a CPU dedicated for autopilot control and another one for mission and data management. This processing powerhouse introduces a new level of on-board intelligence and flight control features that allow the UAV to adjust to various payloads and unpredictable environmental conditions, ensuring optimal data collection with each survey. Built to last. By combining customer feedback and data from extreme weather, shock and vibration tests, the Lancaster 5 is engineered to be 180% more robust than its predecessor. 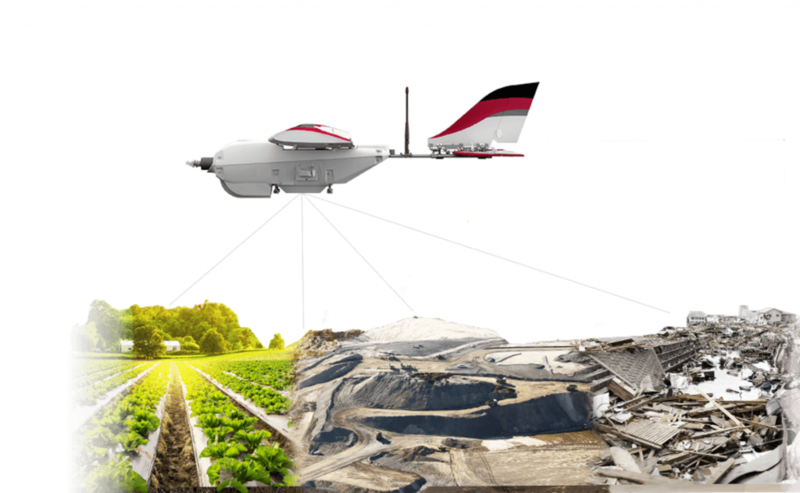 The UAV is designed to withstand hard landings on rugged terrain and unfavourable environmental field conditions, making it perfectly suited for agriculture, energy, insurance, forestry and emergency management applications. Smarter flight. 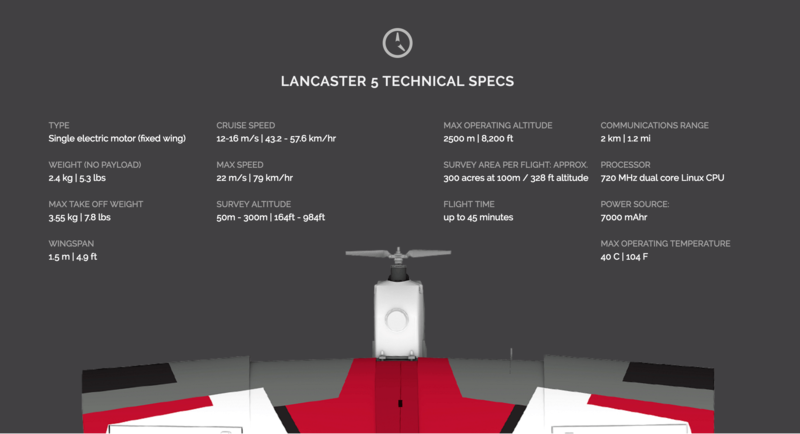 The Lancaster 5 comes with PrecisionHawk’s new proprietary mission planning software, InFlight. InFlight introduces a wide selection of intelligent operational capabilities that include enhanced situational awareness, smart battery swap and integrated emergency options. Compatible with Windows and MAC OS, the InFlight app increases overall operational efficiency in the field and allows users to fly with ease and confidence. Drone for the enterprise. The Lancaster 5 is part of PrecisionHawk’s complete aerial information solution that includes data processing, management and analysis. Strategically built for decision-support, the Lancaster 5 is the number one commercial drone for your business’s aerial information needs. The Lancaster 5 is being shipped to customers now! Visit http://www.precisionhawk.com/lancaster and email us at info@precisionhawk.com to order yours today.